Back in November I noticed a new group was having a meeting to plan a march for January 21. I went to their first planning meeting, at Social Tap in Ventura. I’m pretty sure that more people showed up than the organizers anticipated. Personally I felt so much better knowing that I was not alone in my feelings of needing to do something after our travesty of an election. Although I was present at that first meeting and hosted another, the scope of my help was in inviting others to the march. Just like every other march that happened yesterday, way more people than anticipated showed up! I’ll need to step up my involvement in the days, weeks, months, and years to come. 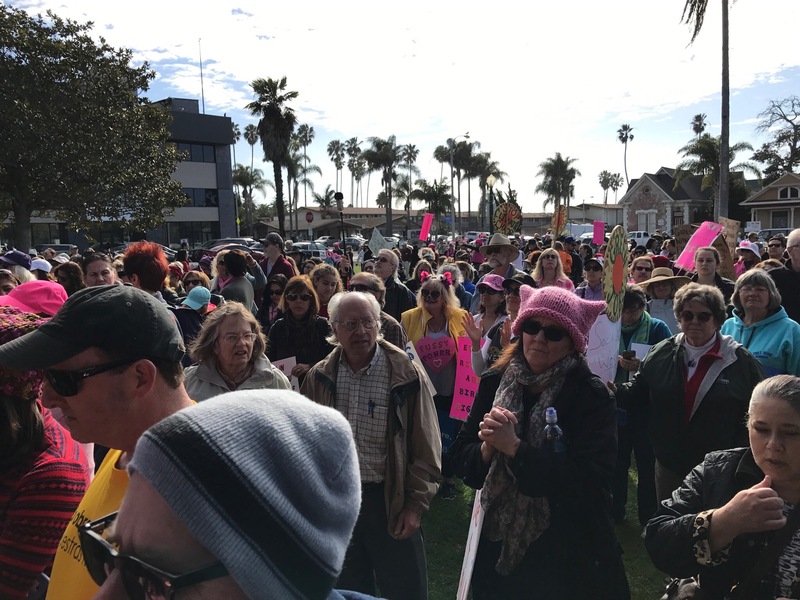 Today I am personally thankful for: Catherine and Kathleen for organizing yesterday’s Justice for All March; for all my clergy colleagues who participated in marches everywhere; for all the women and men who came out yesterday…it was beautiful. I’m watching the early morning news and the forecast for lots more rain in the next few days. Parts of California are out of our mega drought and these next storms are going to help our area. The rain that we are receiving this year is a good reminder that things never stay the same. Rain will come again, eventually. Sometimes it’s hard to remember this, especially in the midst of difficulty. And this my friends is a good reminder to live each day to the fullest and to be purposeful in giving assistance to those who are in the midst of difficult circumstances. In this way we all get through droughts and floods together.Today I am personally thankful for: the promise of more rain; my last day of vacation; and quiet mornings.